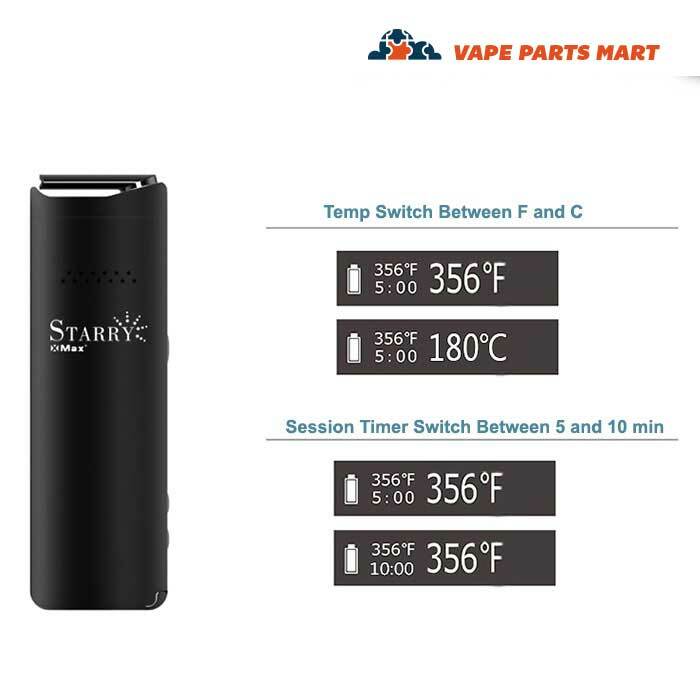 The XMax Starry vaporizer is the latest technology from XVape. 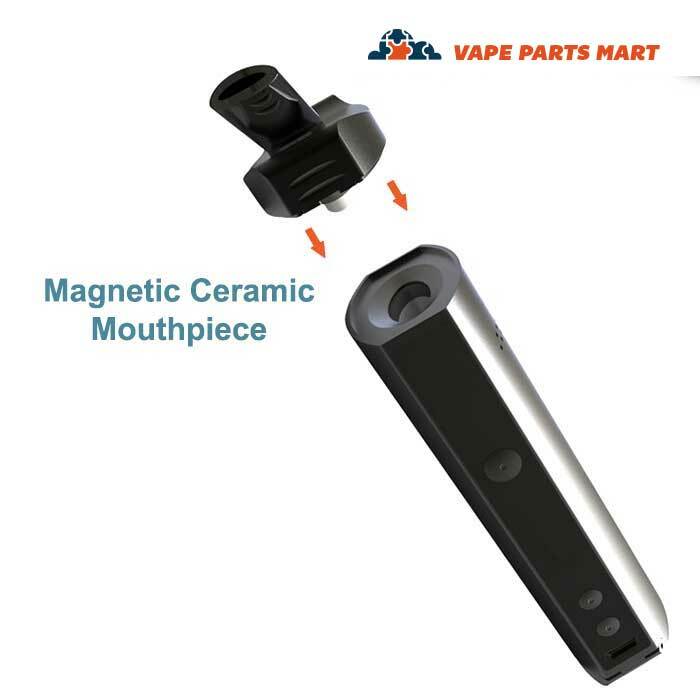 It is a portable vaporizer designed specifically for use with dry herb. 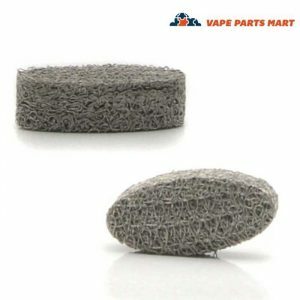 This is a quality compact dry herb vape, you will find it easy to use and reliable. 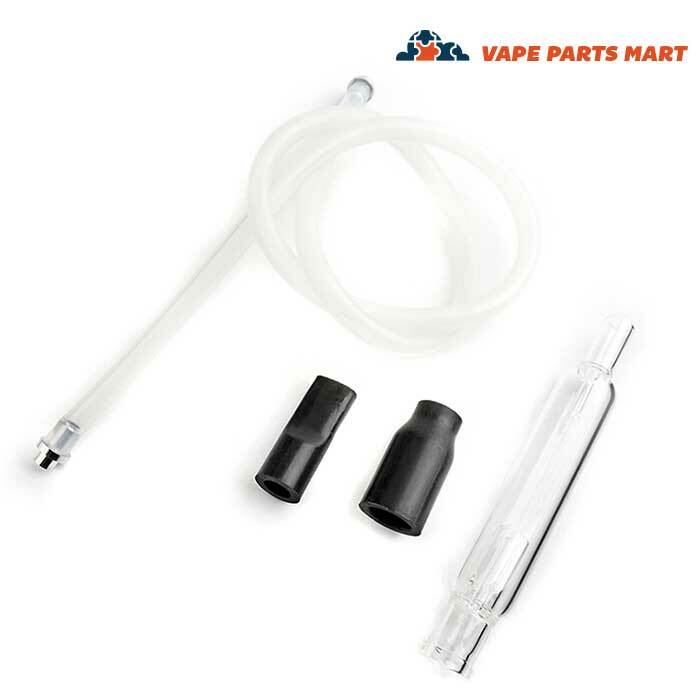 It has been designed to help the heated air circulate around the herb ensuring a nice and even vape. You can use the built in digital reader to easily adjust the temperature to your preferred setting. This is the latest version. 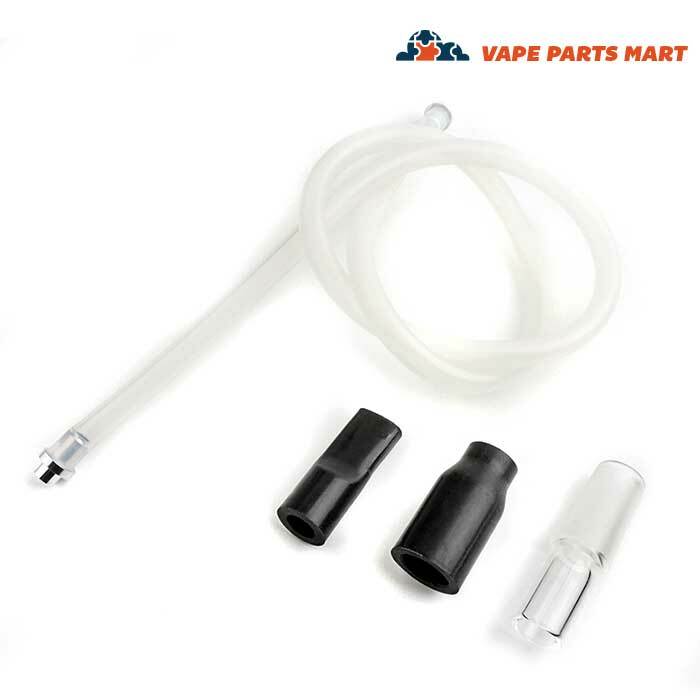 This is a popular choice among many vape users today. It features many modern improvements over some competitors in the industry. 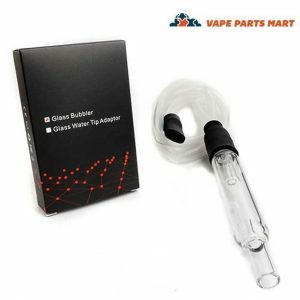 One of the strongest selling points for the XMAX Starry Vaporizer is the price point. 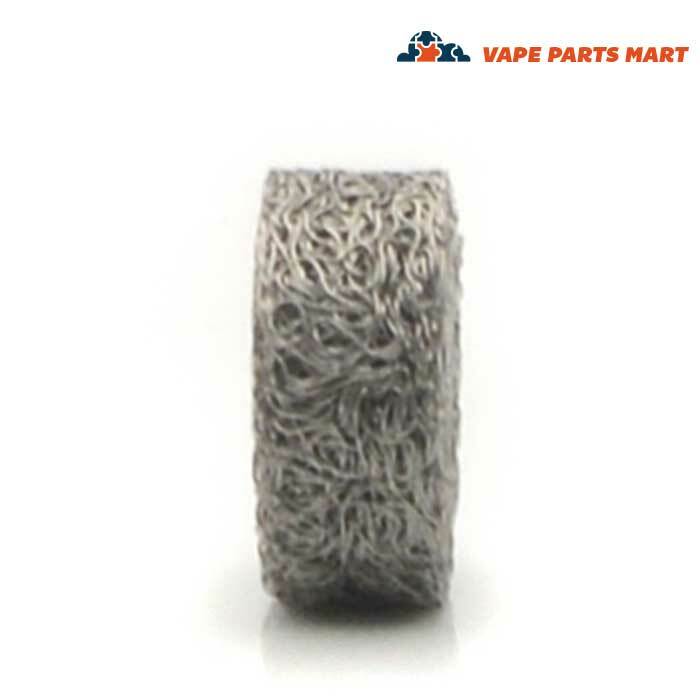 Available exclusively at VapePartsMart.com for only $89.95. Furthermore, it is one of the lowest priced competitors in the market for a portable vape of this caliber. 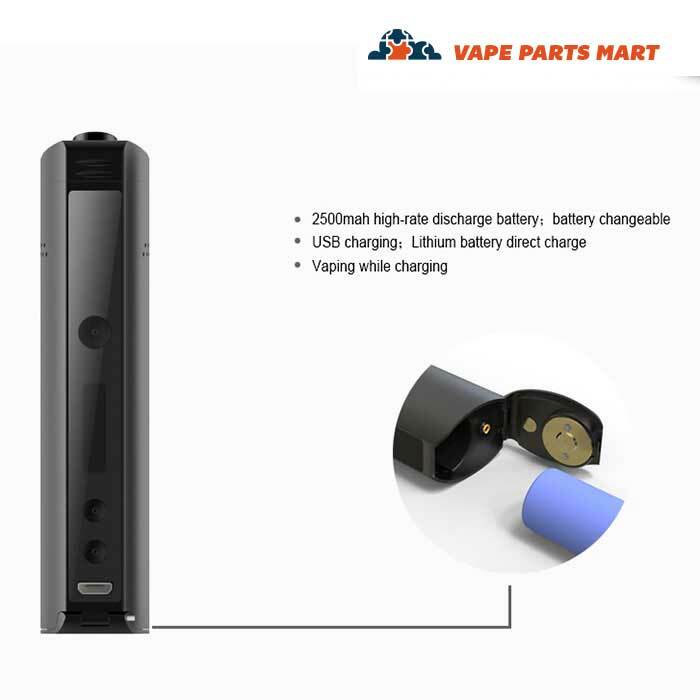 First of all, XVAPE designed the XMAX Starry is provide for the best possible heat flow. 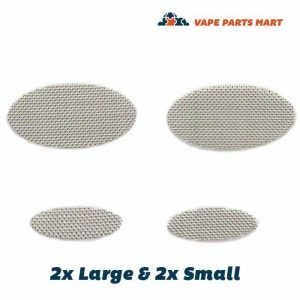 To achieve this goal the came up with a new oval shaped heating chamber. It is made from 100% high quality, food-grade ceramic. 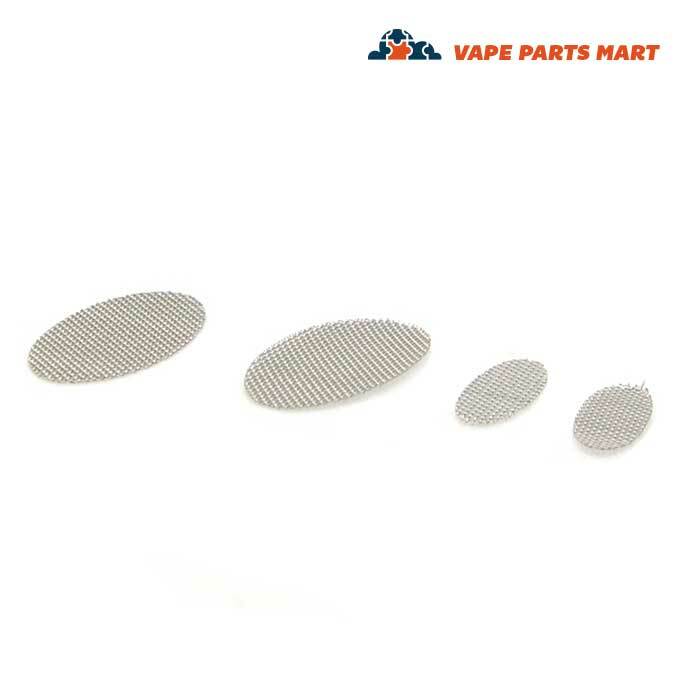 The chamber design forces the air to be evenly distributed around the dry herb inside the vaporizer. This will help to release any naturally occurring medicine to be released from the herb without burning. 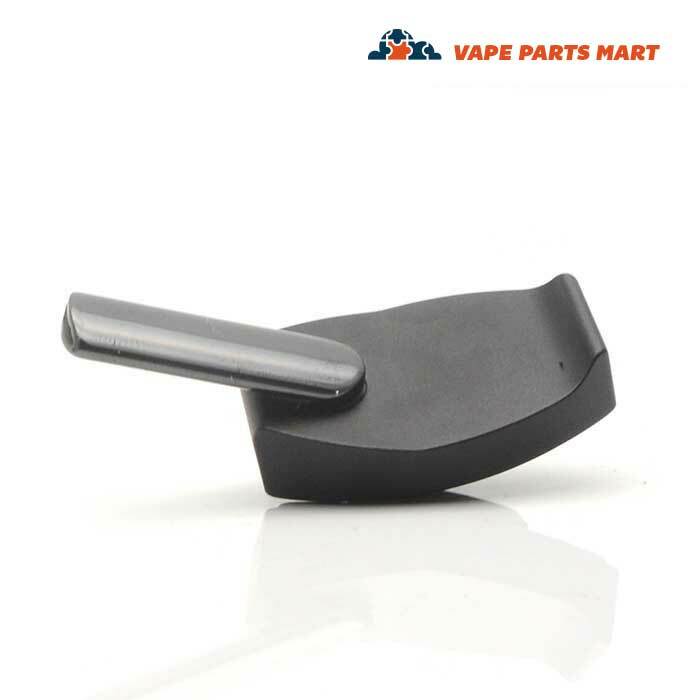 The mouthpiece on the XMAX Starry Vaporizer is a really nice and retractable. It easily snaps open and shut thanks to built in magnets. 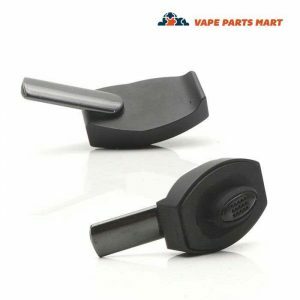 Because of this feature you can simply snap the vape mouthpiece into position, heat the herb and enjoy. 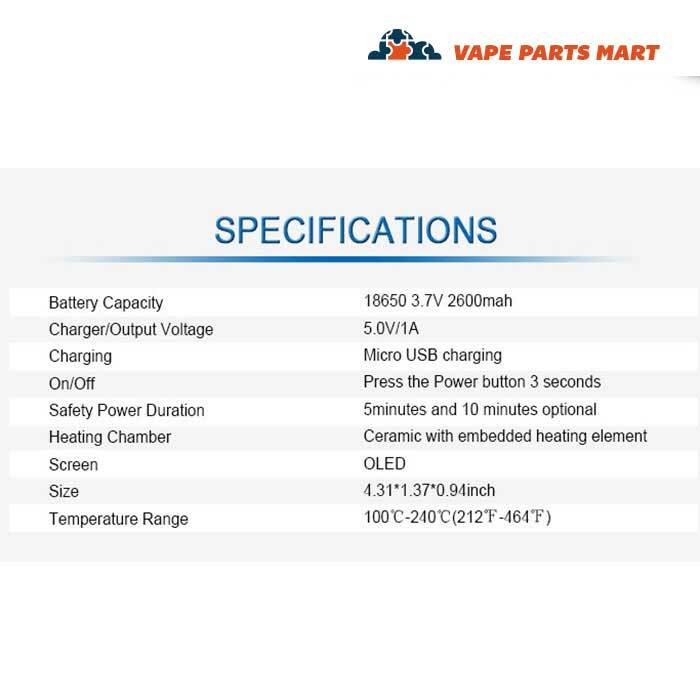 Often-times you have to spend big to get a portable dry herbal vaporizer with a quality control screen. That is not the case with the XMAX (XVape) Starry Vaporizer. It has an awesome built in screen made with the latest OLED technology. 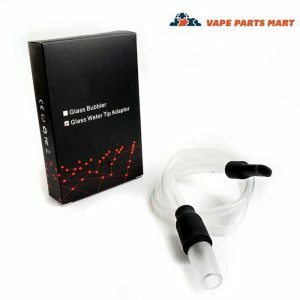 This great vape screen will allow you to easily adjust the temperature settings. When it comes time to charge your new vape pen, the XMAX Starry makes it easy. It comes with a built in Micro-USB charging port. This is the same charging port that 50% of cell phones use. It is a very common charger and easy to replace. Luckily XVape thought ahead on this one and programed the XMax Starry to allow for Pass-Through Charging. 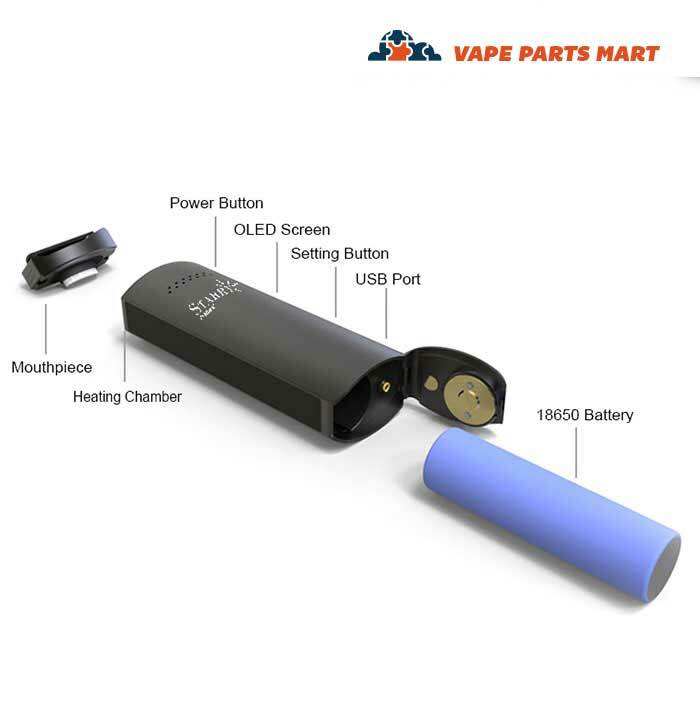 This means that you can use your portable vape while it is plugged into the charger! 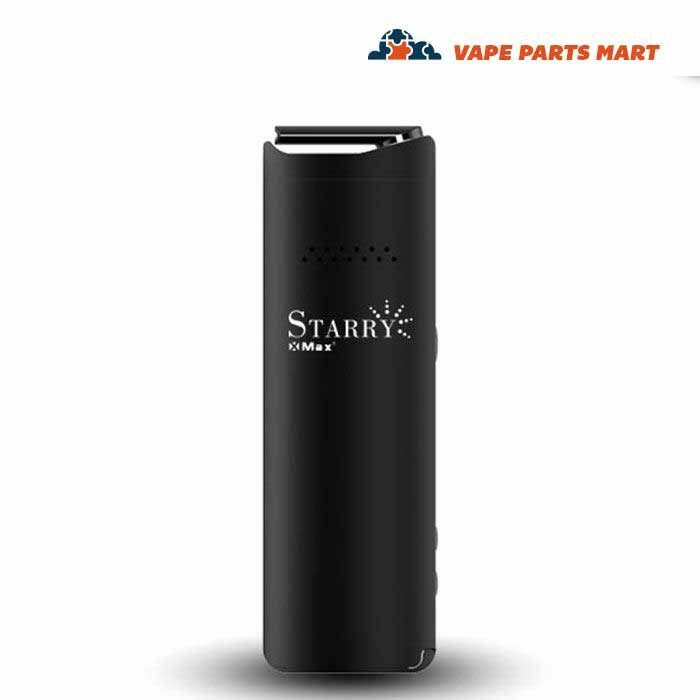 The XMAX Starry Vaporizer is only available for use by Adults over the age of 21. 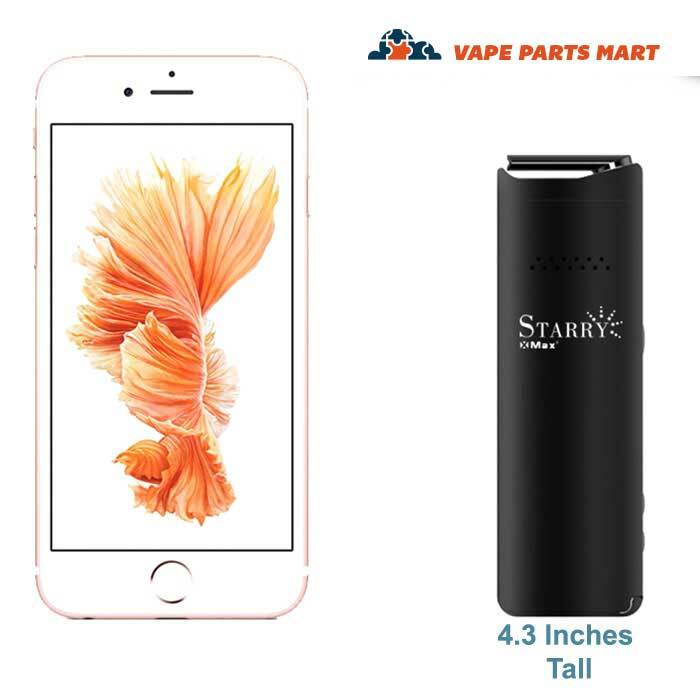 The XMAX Starry portable dry herb vape works best with finely ground herbal products. 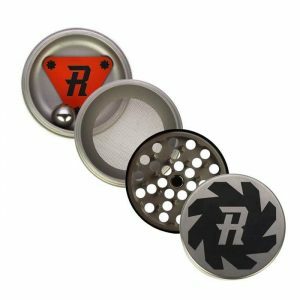 We suggest using a highly quality herb grinder such as one of the many grinders available at VapePartsMart.com. Make sure that you remove any twigs or plant parts that may be in your herb. Large items such as a stick or seed will cause the herb to heat unevenly thereby causing a less pleasant experience for the user. 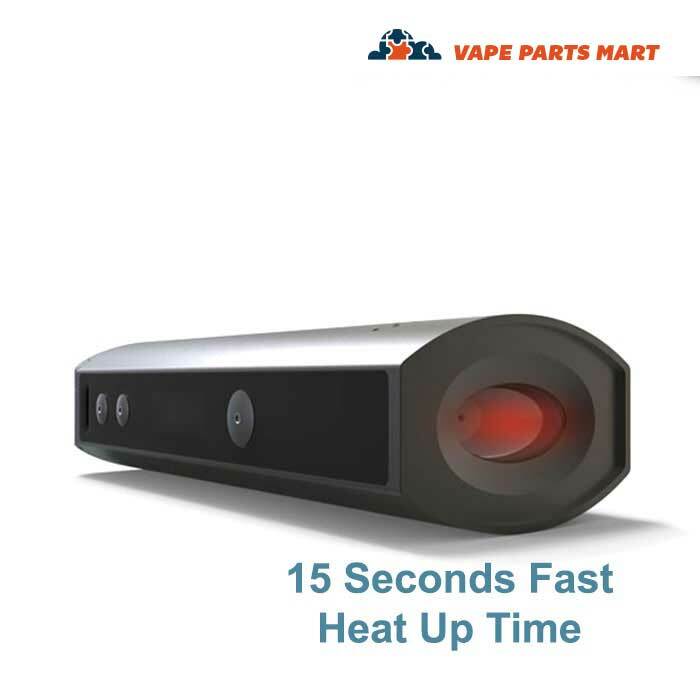 Set the vape temperature to a medium setting at first and then experiment to find your own preferred temp. We have been told that most people typically use a temp in the high 300’s but each user must make that decision on their own. If the herb smells burnt, the temperature is probably too high. 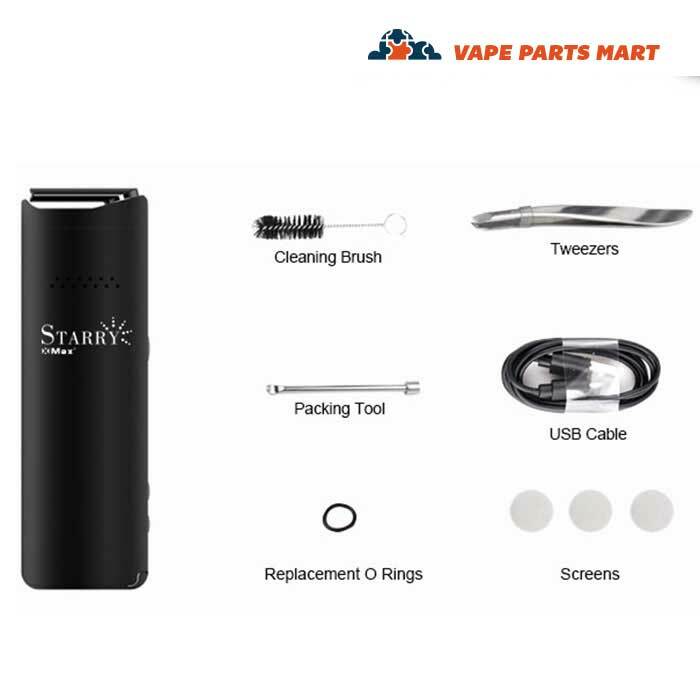 If you have any questions about the XMAX Starry Vaporizer please contact one of our friendly online chat customers service representatives.